Let's keep a list of temporary speed restrictions. At Taringa - 25km/h on the down main. Been there since Feb 2011 at least. Buranda -> Park Rd, approaching Park Rd - 15km/h. Apparently been there off and on for a while. Useful. Noted the restriction yesterday on the down main Taringa on the down express. Wonder what the issue is? Approach to platform 4 Central has a restriction too? That's a permanent restriction, so not the same sort of issue. 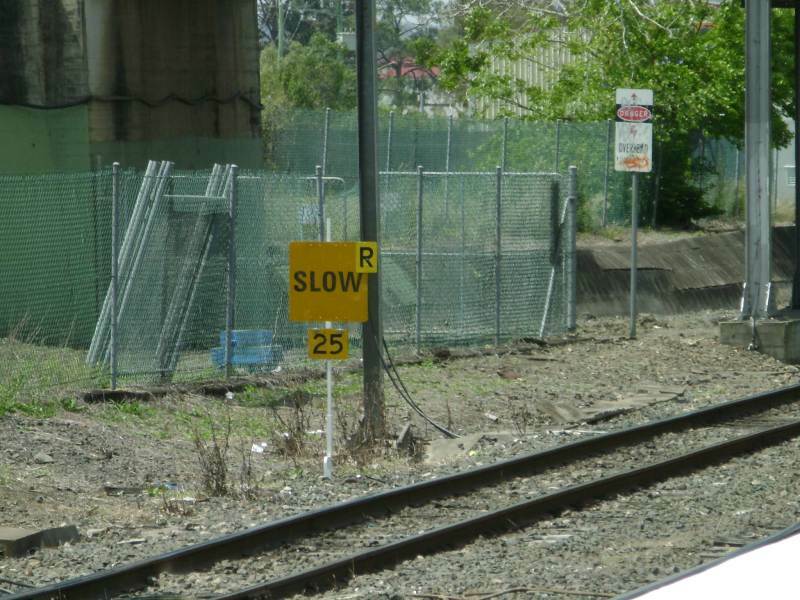 There's a speed restriction now on the approach to Ferny Grove, I'm assuming some of it is permanent with the buffers now instead of the track overrun, but some I think may be temporary while they go through the construction site. The sign leaving the platforms says 15km/hr, used to go straight to 100 IIRC. 40 kph Speed restriction between Carseldine-Zillmere. What is the central station speed reduction for. The speed restrictions at Central are determined by the radius of the pointwork and as such are not a speed restriction but a posted track speed. Due to being on the approach to a platform the reduced speed approach due to the low speed for the radius of the divirging route has little effect and the confined space inhibits the replacement with pointwork with a longer lead which would allow a higher speed through the divirging lead of the points. The point of this thread is to catalogue restrictions not caused by poor geometry, but poor track condition, and also to catalogue how long it takes for QR Network to rectify the track condition. Sounds like there is interest in a thread on poor track geometry, and I am happy to start one, but I don't see why that should be a sticky. Probably more appropriate in "Qld -> Open Forum". how long it takes for QR Network to rectify the track condition. Does QR Network still exist? Not sure, but their work is still being performed by someone. There is now a 15km/h restriction (down from 25km/h) for the Park Rd->Dutton Park divergent points. Speed restrictions have been in place between Eagle Junction and Toombul stations for quite a while now re the Airport Link (Brisconnections) construction however for the past two days I've observed train services slowing down to approx 25km/h or possibly less at times due to the construction of the road tunnel under the main northern line getting into full swing. Is this suburbans and/or mains. Inbound and/or outbound? There is a 25km/h temporary speed restriction board north of Beerburrum at the Tibrogargan Creek bridge. The speed restriction applies until the June 13th NCL maintenance weekend period (Northgate-Gympie North). It is now Queensland Rail Network as part of the new Queensland Rail. They look after the whole network except the QR National Coal network. Why is it permenant? It drives me mad every day!!! Huh, have actually observed/felt the severe curve in the track coming into platform 4 at central.........?? Yes. A world class transport system would fix it!!! There's really not That much room to play with to fix it. I have been told it was lowered to 10km/h due to a few derailments a number of years ago. Poor track geometry. I understand there are issues with the supports for the building above or some such. A world class system wouldn't need to fix it because it would have found another way in the first place. The Mincom building? Thats not that old though. And I believe QR had input on that as it would obviously impact on their tracks. 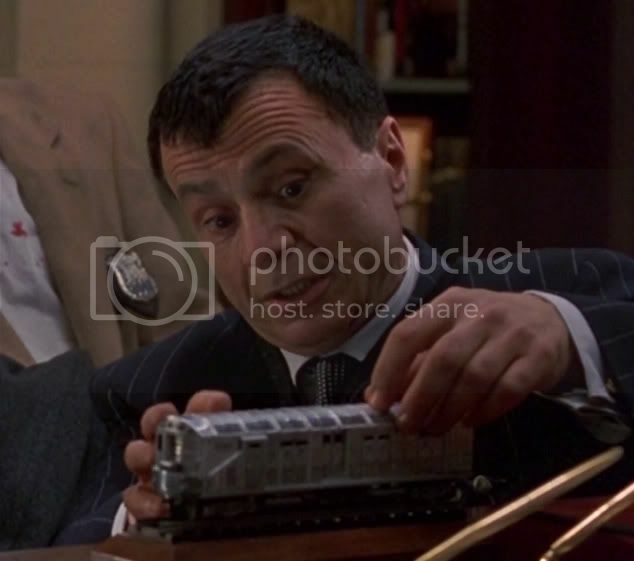 It was back before the split though so perhaps the old QR didn't care so much about slowing the passenger trains a bit. Mentioning speed restrictions, they've slowed right down on the FG line tonight. I think its just tonight as they appeared to be starting some night works around the Samford Rd level crossing. The problem predates the construction of the Minicom Building back to early steam days and the supports for the Edward Street road bridge. I haven't noticed any ongoing restrictions unless they've changed the actual speed boards. Services don't appear to be going any slower - except for times (such as in recent days) that there have been temporary restrictions in place. I'd say the temporary restrictions are for when there is slight subsidence (there has been on a few occasions) until repair crews can get in to fix it up. Scroll up to mufreight's earlier post, which gives a very good explanation. Last week wise, there appeared to be another one in between Toombul and EJ. It's the same one... and has been there for a couple of months now. Saw the timelapse on Channel 7 the other night - with them pushing the tunnel structure under the line. I'm guessing this is why it's been reduced right down to 25. Hopefully it'll go back up again soon - and hopefully back to 100 when it's all done. Does anyone know when the problem causing the speed restriction near Taringa will be fixed? Only when we are finished building our 'world-class' road system and co Geri aged ourselves on removing all congestion. How much do you wanna bet it stays at 80 or 90 (just like speed reductions on upgraded roads etc...)! Possibly will be fixed in the next maintenance shutdown, because the curve leading into the restriction is only a 50 kph curve the 25kph speed restriction has negligible impact on the overall running times and the express services are readily able to maintain the timetables. Both of these restrictions are still present. >6 months to fix a temporary speed restriction? That's POOR! I'd expect it costs the best part of a minute or so. It's only not an issue for maintaining the timetable because the timetable is slack. Traversing 200m @ 25km/h takes 28.8s, so you are losing 14.4s minimum, but there is also lost time for acceleration and deceleration. Not sure what the problem at Taringa is (whether it can be fixed without a closedown or not) but the Park Road restriction is something that's going to need a closedown I think. Hasn't been a Roma Street - Park Road shutdown for quite some time now... 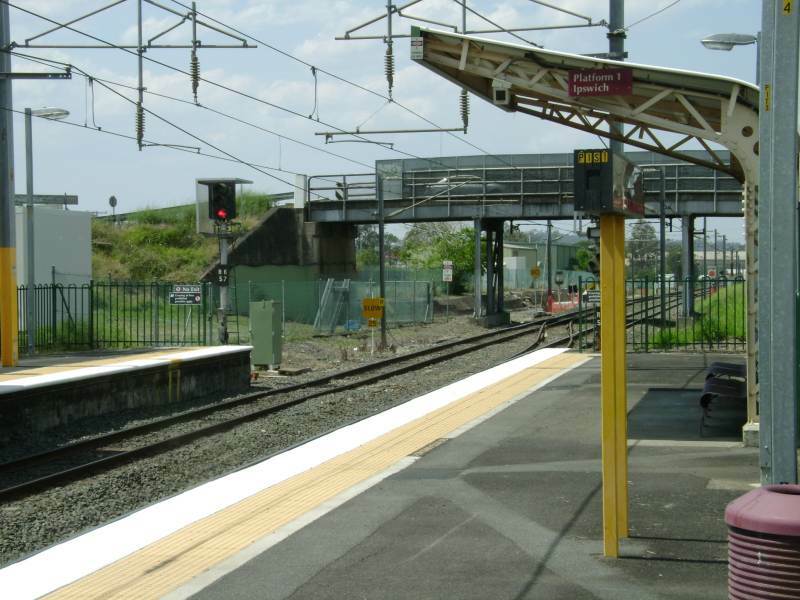 It has been reduced now to only Beenleigh/Gold Coast bound trains, trains to/from Cleveland line are no longer affected. A large section between Beerburrum and Glasshouse Mountains is 25 km/h (the speed restriction beforehand was 40km/h). Usual speed signs is 80km/h. There are also 40km/h speed restriction signs at sections between Caboolture and Petrie. All circumstances are due to the recent trackwork not quite being completed. Seen a lot of wooden and metal sleepers in the bins (at least they cleaned that up in most areas). Redbank UP and DOWN, not sure if this permanent, it might have been for the weekend only. Track gang around. Part of the Glasshouse-Beerburrum alignment with speed restrictions has been lifted this morning. It is now stop-start like as a result (fast... SLOW.... fast... SLOW... fast). They really need a short trackwork shutdown on this section to clean the trackworks up (and possibly raise the temporary restricted areas from 25km/h to at least 40km/h after the cleanup).